Fantastic news for all comic book fans! 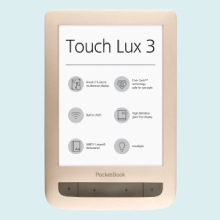 The newest firmware update 5.20 for PocketBook Touch Lux 3 and PocketBook Touch Lux 2, which will be released on March 4th, includes two new book formats: CBR and CBZ. This addition makes it possible to read comic books via your e-reader. Latest firmware update 5.20 for PocketBook Touch Lux 3 and PocketBook Touch Lux 2 will make you love your gadget even more. It now supports 19 text and four graphics formats, which makes it one of the most open-minded e-readers’ in the world. One of the most significant additions – the ability to read comic books, thanks to new formats CBR and CBZ. PocketBook does not tie its users to just one certain format. 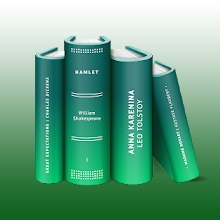 It tries to make reading as comfortable as possible with numerous available text formats. Firmware update 5.20 will extend the list of the available formats of PocketBook Touch Lux 3 and PocketBook Touch Lux 2 to EPUB DRM, EPUB, PDF DRM, PDF, FB2, FB2.ZIP, TXT, DJVU, HTML, DOC, DOCX, RTF, CHM, TCR, PRC (MOBI), ACSM, CBR, CBZ. In addition, this e-reader supports four popular graphics formats: JPEG, BMP, PNG, TIFF. Update your PocketBook and enjoy a brand-new experience of e-reading. The equivalent upgrade soon will be available for PocketBook InkPad 2 and PocketBook Aqua 2.